If children can't read, how will they know God's word? If children can’t read, how will they know God’s word? 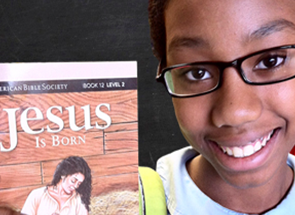 Through this ground-breaking program, using God’s Word and other Scripture-based resources, boys and girls receive critical instruction to not only help them learn to read but introduce them to God’s love revealed within the pages of the Scriptures.Every $5 you give will help provide a Bible and other Scripture-based resources for a child in Mission: Bible Literacy.